Exactly a week ago, The News Wheel first reported on a recall issued by Fiat Chrysler Automobiles that affected approximately 1,200 Dodge Hellcat vehicles. A faulty part connected to the engine’s oil cooling hose created a risk for oil spraying across the windshield and a fire starting near the engine. FCA has now issued another recall connected to potential fire hazards, although this one is far more extensive, as it involves approximately 494,000 Ram trucks. The issued recall affects Ram 2500 and 3500 pickups built between 2013 and 2017, as well as 3500, 4500, and 5500 chassis cabs built during that time. 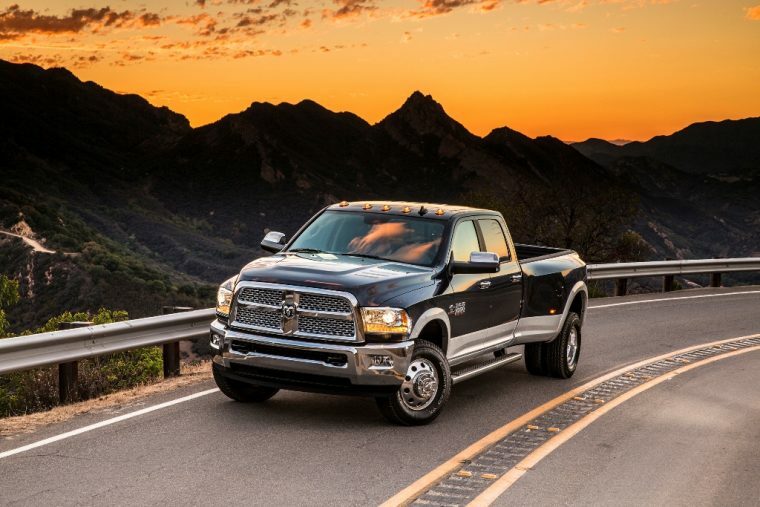 The scope of models affected is limited to those that use Ram’s 6.7-liter engine. The faulty part in question is a water pump located near the engine compartment. Under certain conditions, the water pump may overheat, causing a fire near the engine. If a problem does occur surrounding the water pump, a warning light should activate on the truck’s instrument panel. FCA advises that motorists stop driving and contact their local dealership immediately if said light does illuminate. Although FCA has stated that the recall has not been connected to any injuries, there have been a number of small fire-related incidents suspected to be caused by the water pump. The recall includes 443,712 Ram trucks in the United States. Meanwhile, 46,220 trucks in Canada and 4,485 trucks outside North America have also been included on the list. Customers affected by the recall will be alerted as soon as service is available, during which water pumps will be inspected and replaced as necessary. In the meantime, drivers can reach out to FCA’s Recall Information Center at (800) 853-1403 with any related questions.